In what’s becoming a pretty regular occurrence, another ZTE smartphone has inched one step closer to release with a U.S. carrier. This time around it’s the N910 passing through the FCC with a little bit of LTE support in tow. Although we could be a few weeks or months from anyone making an announcement, Engadget surmises that this would make for a good offering on a regional carrier. 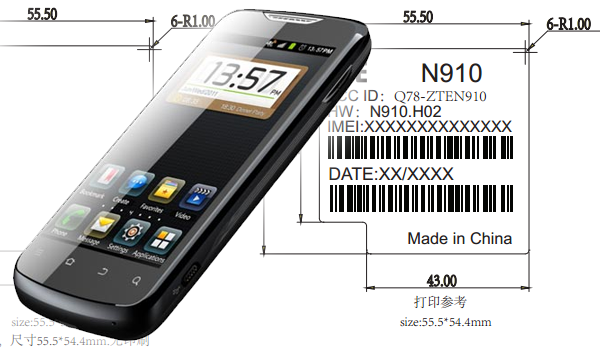 Specifications for the ZTE N910 include a 1.2GHz dual-core processor, 4.3-inch WVGA display, Android 4.0 Ice Cream Sandwich, and that LTE connectivity. As companies like MetroPCS and Cricket Wireless begin to deploy an LTE network, this could be a low-cost choice for consumers.